Does he or she specialize in family law? How many years has/she been practicing in the area of family law? Does the attorney frequently practice in the county where your divorce will be filed? 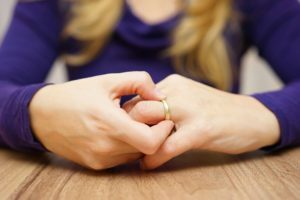 What is the first step in filing for divorce? Do I meet the criteria for spousal support? If children are involved, what will child support be in my case? Do we go in front of a Judge? Do we meet with a referee? If so, why? How many times do we go to court? What is an EIC (Early Intervention Conference)? Is it mandatory? What is mediation? Does every case go to mediation? How long does a divorce take when minor children are involved? How long does a divorce take when no minor children are involved? What is the Court’s filing fee? Is there a retainer required? What is the amount of the retainer? What is the hourly billing rate for your divorce attorney? What other fees might be associated with filing for divorce (i.e., courier fees, postage, mileage)? Will I receive an itemized monthly billing statement? How can I keep my fees at a minimum? At Kathryn Wayne-Spindler & Associates we are happy to explain the process of choosing right divorce attorney and preparing for divorce. Contact our office at 248-676-1000 to speak with an aggressive yet compassionate divorce attorney. We are conveniently located in Milford, MI. Our attorneys have been successfully handling divorce cases in Michigan for more than 20 years.